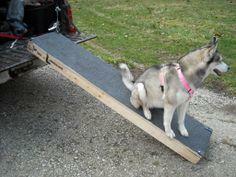 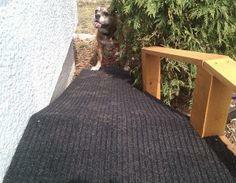 Use reclaimed lumber, carpet remnants and simple tools to build a simple ramp or steps your dog can use indoors or outdoors. 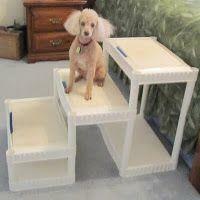 With these quick and easy DIY designs and blueprints, you can create safe and even attractive projects that allow your pet the freedom he needs. 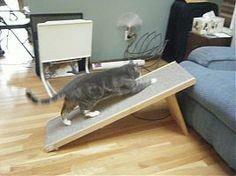 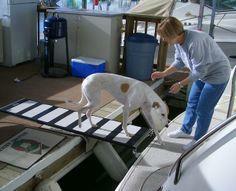 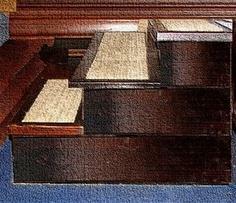 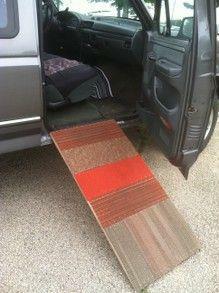 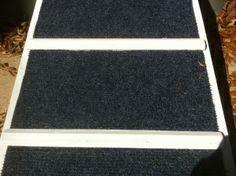 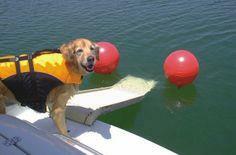 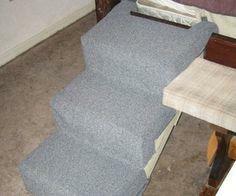 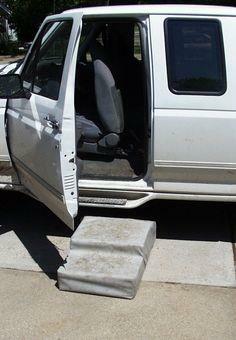 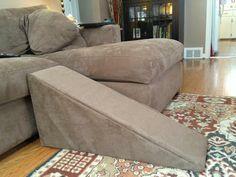 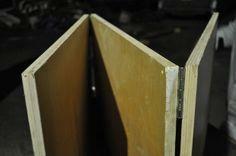 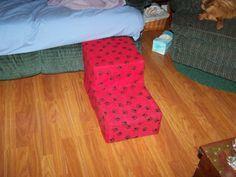 You'll find ramps for cars, trucks and boats as well as steps and stairs to access beds, sofas, decks and doorways. 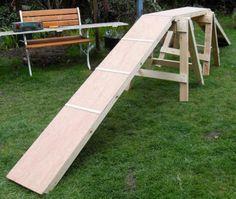 Easily adapted to your needs, these basic projects are perfect for even beginning woodworkers. 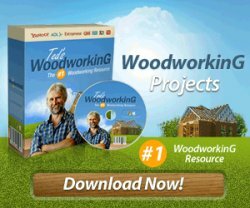 Suggested materials include scrap lumber, recycled carpeting, dimensional lumber and sturdy fabric or upholstery material. 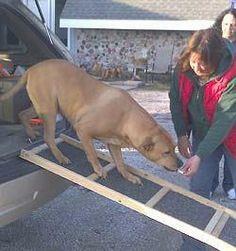 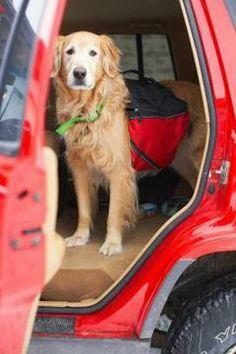 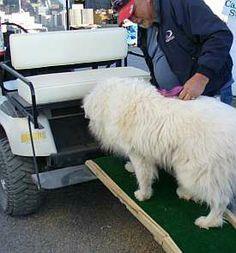 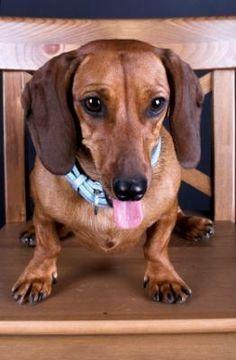 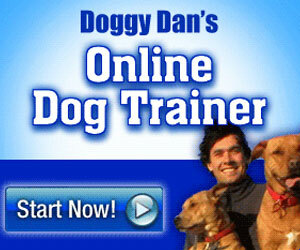 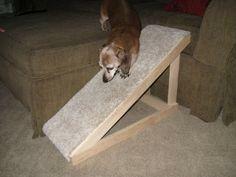 Maybe your four-legged friend is height challenged or is getting on in years. 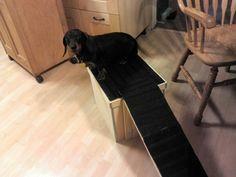 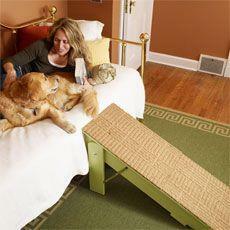 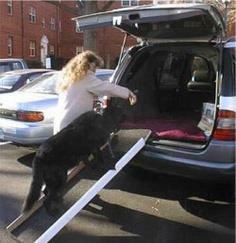 A pet ramp or stairs can give your dog the freedom to get up and down by himself and can save you from an aching back in the process.